Today there is a Design Team Reveal up on the Just Imagine Crafts/Kreaxions Blog. The theme is “Fun and Bright/Summer”. For my project I created a card using the Kreaxions Circle Cutter, Stencil A and the Kreaxions 4 in 1 punch #302.
project comes together so easy with bits and pieces you already have. 1) A Design Team project for Just Imagine Crafts/Kreaxions Punches. The border strips for this “Just For Fun” card were made using the Kreaxions 4 in 1 punch #920 with no insert. 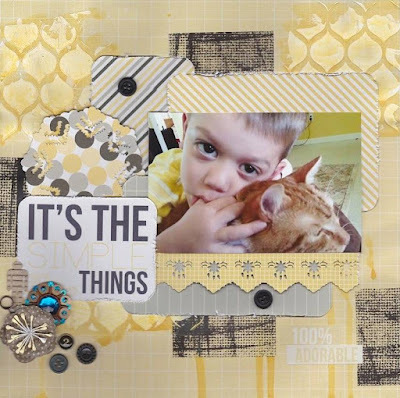 I used both the positive and negative pieces along with the bits left over from punching the border strips. 2) For my second project I’m sharing a layout I completed for a Design Team Mini Crop Challenge at Turtle Soup. The theme this month is “Back to School”. 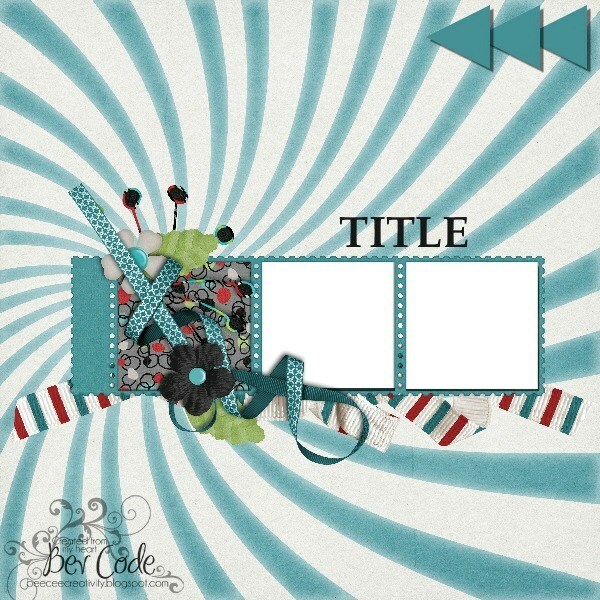 My challenge is to add some type of punctuation mark to a layout, card, ATC or altered project. You have till August 31st to participate. Check out the details in the forum. I can’t wait to see what you come up with. This page is for my granddaughter Gracelynn’s album. I might add that this photo was pre-Faith-Anna lol! I created this card using the Kreaxions Circle Cutter, Stencil A and Kreaxions 4 in 1 Punches 916 and 921.
to be inspired by what the rest of the Design Team has done this week. It’s the simple things in life … isn’t that the truth! Sam and Pumpkin are 100% adorable in this photo. I created this layout for a Design Team project for Just Imagine Crafts/Kreaxions Punches. I used the Kreaxions 4 in 1 punch #912 with no insert to make the border strip at the bottom of the photo. I used the star stencil and the Kreaxions 4 in 1 punch # 906 with the A insert to make the doily under the journaling card. With some messy supplies, a rub on (that’s at least 5 years old), and bits and pieces from my stash this page came together quickly. Be sure to check out the blog to see what the other inspiring Design Team members did this week. Today there is a Design Team Sketch Reveal up at Turtle Soup. did with the sketch provided by Bev Code.